GABORONE, BOTSWANA – Motorsport is arguably one of the most expensive and grueling sports in the world but that did not deter Botswana’s National Cross Country Champion, Ross Branch from being crowned the fastest Rookie at the recent 2019 Dakar Rally in Peru. Branch’s dream of hankering to become one of the world’s fastest riders in the world came true at his recent Dakar rally performance in South America’s Peru where he finished in the 12th position, winning rookie of the year. 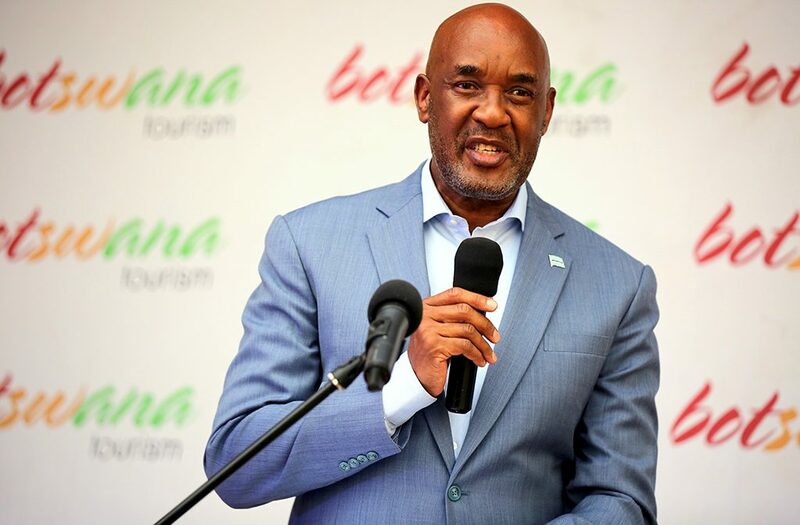 Yesterday, well-wishers including the Minister of Environment, National Resources Conservation and Tourism, Kitso Mokaila and Botswana Tourism Organization (BTO) gathered at the BTO’s Gaborone office to give Branch a well-deserved hero’s welcome. 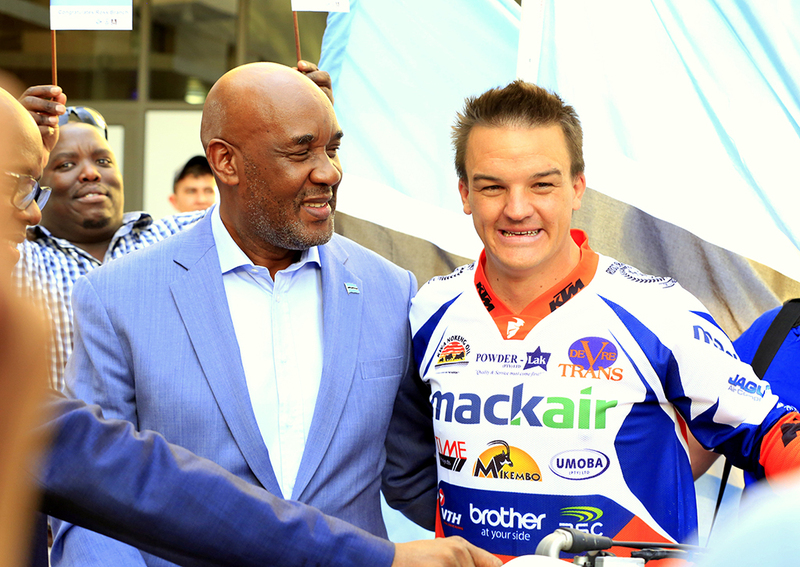 In his welcome remarks, Mokaila congratulated Branch for his outstanding display at the world’s toughest race, which ultimately placed Botswana positively in the world map. “As we followed online updates, there was no doubt that Ross would do well! Being pronounced winner of the Rookies Category was the cherry on the icing. 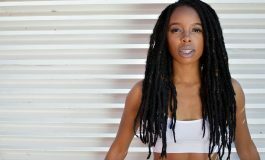 Your win does not come as sheer luck, for you have worked your way up, making huge sacrifices to develop and perfect your bike riding skills. Your family deserves special mention, for having watched you and walking this journey with you, something all families would do well to emulate. A number of sponsors and friends led by your racing club KTM and Botswana’s Mack Air amongst others, made your journey to Dakar Rally possible. I wish to express our heartfelt gratitude for such support,” said the minister. 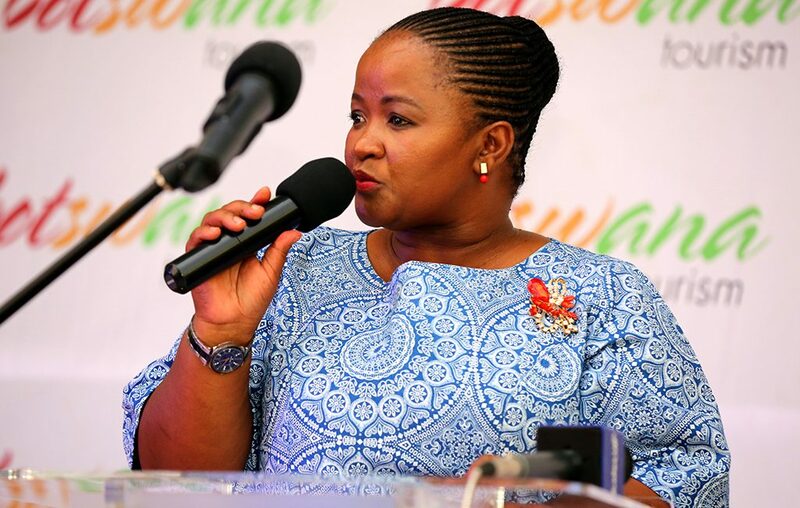 Furthermore, Mokaila mentioned that Branch is a product and catalyst of the success of the annual BTO’s flagship event dubbed Khawa Dune Challenge. For his part, an elated branch said he was overwhelmed by the support he has received from the nation as messages came from all levels and that gave him courage to do better. As a debutant, Branch faced few penalties on the race. He told the gathering that this year’s surprise showing has encouraged him to further look for sponsors and be ready for 2020. He said for him to participate he needs at least P1.3 million. 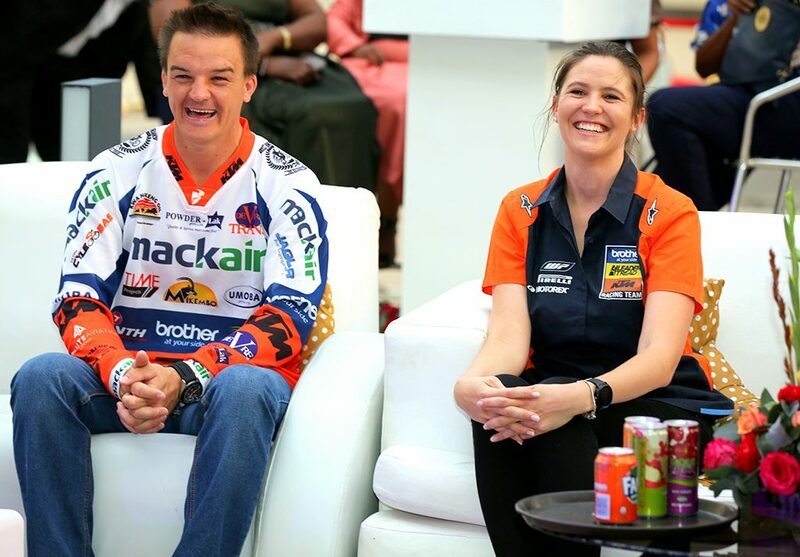 “My travel to Dakar rally was a successful one with a special mention of my sponsors such as Mack Air, DeVre Trans, Kwa Nokeng Oil, KTM and Time Projects. It’s an expensive sport and I am humbled by their gesture. For me to achieve this is because of teamwork. 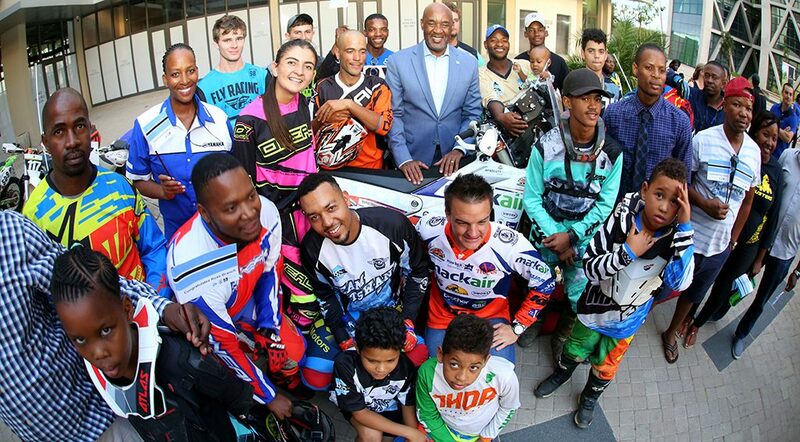 So far I have trained 7 riders who will be competing at this year’s Toyota Desert Race (TDR) and I can assure you that they are ready to compete. With my time in the Dakar, the plan was to be in the top 20 but to push it to the 12th position that knows what 2020 would be like. I faced few challenges in the first three days, I was penalized with 15minutes to my time for GPS usage, the other day I crashed my bike a little bit but from then on it was cruise control, I must say. My team will be organizing a few fund raising initiatives from as early as February,” he said. The BTO and Wilderness Safari yesterday gave Branch and his family a well-deserved vacation voucher valued at P150, 000 in the Okavango Delta for 6 days.